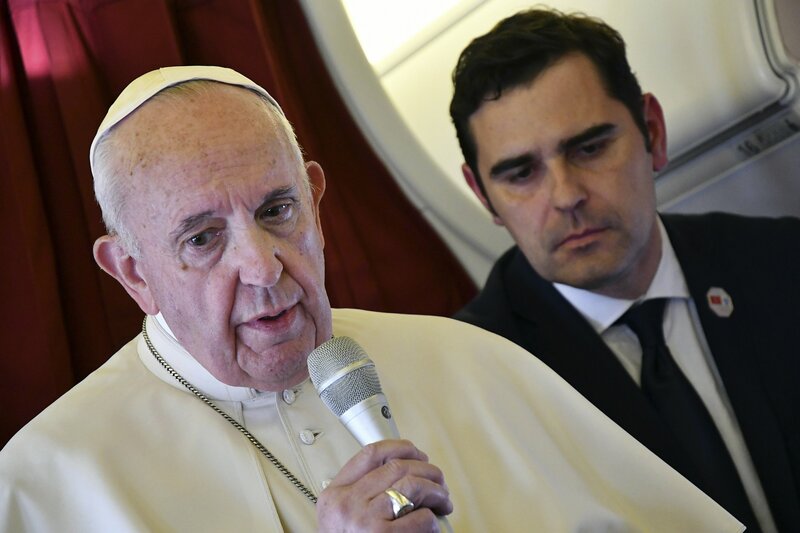 ABOARD THE PAPAL PLANE — Pope Francis defended his decision to reject French Cardinal Philippe Barbarin’s resignation after he was convicted of covering up for a predator priest, saying Sunday the appeals process must run its course before a final decision is made. Francis’ papacy has been thrown into turmoil by the eruption of the scandal on multiple continents and his own handling of cases at the Vatican. Currently, two of his cardinals — Barbarin and Australian Cardinal George Pell — have criminal abuse-related convictions hanging over them, though both are appealing. “He has appealed, so the case is open. After the second tribunal decides, we’ll see what happens,” he said. The head of the U.S. bishops’ conference, Houston Cardinal Daniel DiNardo, stunned the bishops when he opened the assembly Nov. 12 by announcing that “at the insistence of the Holy See” the bishops wouldn’t be voting on the measures after all. He said the Vatican wanted them to delay a vote until after Francis’ February abuse summit. The Associated Press later reported that the Vatican had demanded the delay because the U.S. conference had waited until four days before the meeting began to share the legally problematic proposals with the Holy See. A letter from the head of the Vatican’s bishops’ office said the proposals required further consultation before they could be approved.